After five years of experience in trading, I’ve been through a lot of hardships and managed to learn a lot about money, how the financial markets work, and how I can profit from that. Although trading is just one of my activities, I’ve spent enough time in front of the chart to gain some insight that might help others. That is why today I will share a few details of my experience of trading with trade.com. 90% of traders throw in the towel. One of the main reasons is because they don't have a method. Elliott Wave Principle is one of the most popular investment method books ever published. Now, we're working with Elliott Wave International to celebrate the book's 40th anniversary (has it really been that long??!) by giving you free access to Part 1 of the 2-part bestseller. It been a great couple weeks for members of our newsletter as we start to provide more of our MRM – Momentum Reversal Method Stock Picks. As technical traders, we specialize in trading price action and momentum. We don’t follow the news or media because it has zero predictiveness in price action. 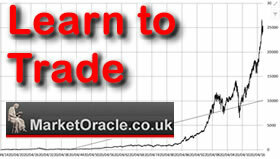 eBook - The Ultimate Trading Strategy! Whether you’re just starting out in trading or you’ve been at it awhile, it’s best to keep things simple. I’ve been trading a long time now, since 2002. First as a trainee stockbroker. And finally, ‘cracking’ it with consistent results when I honed the approach I discovered when I came to Trendsignal in 2004. Along the way, I’ve discovered that simple is best. “Buy and hold” is a great, time-tested investment strategy. It works on two conditions, though. You have to allow it sufficient time. And you have to stick with it. The problem is very few investors can stick with it. They see their net worth shrinking, get scared, and bail out. And they do so at the wrong time. Then they re-enter at the wrong time. And the cycle repeats. Asset diversification doesn’t help here. Because it still leaves you at risk of making a mistake on emotions. It was 2004, and Microsoft was one of the biggest companies on the planet. Besides, they had a great year. So great that the company decided it would return $75 billion to shareholders. Microsoft boosted its dividend by $3 billion to $0.32 per share. That was a dividend yield of 1.2%. But the bigger news was the one-time dividend payment of $3.00 per share. This “special dividend” raised the dividend yield to 11%! We know -- and you know -- how frustrating it can be to find a reliable trading method. Yet, somehow, 5% of all traders DO make money trading. What's their secret? Our friends at Elliott Wave International have an answer. Our ideal morning market swing as I mentioned in today’s members-only video has played out. A price drop to reach spike targets, then a reversal rally to gap fill. This is the third straight day the market had done this for us, it’s not always this good or frequent. 6 winning trades in 3 days is tough to beat and one day pays for years worth of access to our Wealth Building Newsletter Service. If you don’t know about our two best short term trade setups which are the “Gap Window” and “Price Spike” then you’ll want to learn more and we will be adding a detailed trading guide on exactly how to trade these for our subscribers. There is no shortage of stupid things in the financial market. But probably the worst thing people can do is to have unrealistic return assumptions. Question to you: On a long-term basis, what annual returns do you expect in a broad-based stock market index? Every short-term trader wishes they had a strategy they could rely on for 1-5 trades a week. Well, two of my favorite intraday trade setups I discovered during my 23 years of trading everything from stocks, ETF’s, options, currencies, and futures 24 hours a day I am going to be sharing to subscribers of the Wealth Building Newsletter where these strategies and charts update live throughout the trading day for them to follow and trade the signals that are generated. The failure rate for financial market and commodity traders has remained at a consistently high 90% for many decades, this despite all of the advances in information technology, flood of new learning materials that is churned out annually, therefore why is it that 90% of traders still end up losing? In my opinion, a high 90% of traders are destined to lose because they are in fact listening to those 90% of failed traders who proceeded them that went on to comprise what is trading markets sales industry, perpetually churning out a never ending stream of materials, methods and signal services of how to trade, that invariably don't pan out in reality. Then there is the commentariat, again 90% of which comprises failed traders. Who may have tried to trade but failed so have gone on to become market reporters, mostly providing rear view mirror in hindsight market commentary, or so vague in outlook that all eventualities are covered as they hope to become the next big media stars, appearing on the likes of CNBC so as to turn failure to trade into full time media careers and thus perpetuate a continuous cycle of failing traders guiding new traders towards a similar fate. Have you ever wondered what you would do with the small balance on your gift balance because there is nothing you can afford and buy with it? A similar issue is experienced when buying investments like stocks and ETF in whole share quantities. Fractional shares give investors flexibility in two main areas; to put all the available cash for immediate work and buy fractions of stock in companies with a high price per share. There are sites where you can specify the number of fractional shares you intend to trade. Then, the online calculator helps you determine the number of shares you can actually trade. Shares are whole units which are offered by companies as stock. These stocks are then traded on the open market in full share quantities. Most brokers discourage investors from buying and selling stock in whole share quantities. The current volatility of the financial markets and changes happening right now may make the whole trading landscape appear unpredictable, but there is a method to this chaos. The changes happening on the market are still measurable. You just have to be sharper at identifying the best times to enter the market and the positions you should open. As a trader, you need to develop a series of habits and rules to be more successful when facing today’s market challenges.